We are going to reveal a secret. Every new year shoppers across the world do something mysterious. ‘Ah, the long tail of retail still wags!’ Chitti would have said in 2.0. The market is hurtling towards the end of another holiday season, which means that shoppers have one final lap of ‘spending act’ left in them. ‘To celebrate is to gift. To gift is to gift a gift card,’ Yoda would have professed. After the joyous Navarathri, Vijaya Dashami, Ayudha Pooja and Durga Puja, Diwali lit our homes. The festive season is well and truly upon us. Customers have already started gifting their loved ones. Why now, after all these weeks? Some of you might ask. But let’s ask ourselves: are our ‘zero-hour’ donations enough to improve the livelihood of people affected by the flood, at a structural level? The need of the hour is to provide sustenance for our kith and kin, many of whose lives may not be the same anymore. UBER, Tata Cliq, IBJA and more! 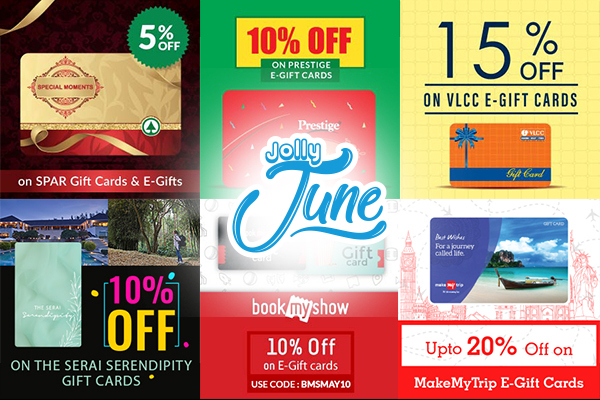 Catch the latest launches in the world of Gift Cards, brought to you by Qwikcilver – Everything Gift Cards! Brand Factory, The Little App! Catch the latest launches in the world of Gift Cards, brought to you by Qwikcilver – Everything Gift Cards! After the searing heat of the great Indian summer, the rains are upon us here and so are new gift card avenues and partnerships. Along with new launches we are also showcasing Qwikcilver’s futuristic solutions that are radically changing traditional rewards in corporate gifting giving organizations options like never before. If you have missed the conclave earlier, worry not. 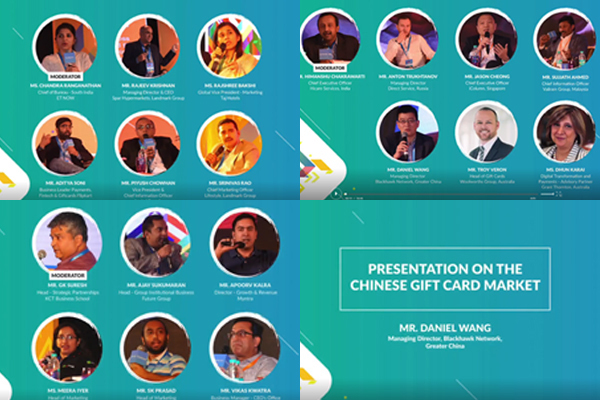 We had some engaging panel discussions at the Qwikcilver Gift Card Conclave 2018 and you can check them out on our YouTube channel as well. Woohoo! India’s most loved Gift Card Superstore now has a new addition! The Brand Factory E-Gift Card is now available on the Woohoo.in. Brand Factory, a Future Group concept, is India’s leading chain of fashion discount stores that promises consumers a revolutionary discount shopping experience. Brand Factory offers more than 200 Indian and International brands across men’s formals, casuals, youth wear, women’s wear, sportswear, kids wear, footwear, accessories and more. More ways to buy your favourite gift cards! Excited to announce the launch of our brand-new Gift Cards Store on the Little app. The Little app, brought to us by Little Internet Pvt Ltd. is a hyper local deals discovery platform connecting customers and merchants across services like restaurants, spa, salons, activities, etc. It helps customers discover fantastic offers at their favourite outlets and become a sales channel for offline merchants. Once a consumer finds a deal that catches their fancy, they pay for it through the app, and go to the merchant location to redeem it. Little offers 50,000+ deals across 20,000+ merchants and all major cities like Delhi, Bangalore, Pune, Kolkata, Mumbai, Hyderabad, Chennai on both https://littleapp.in and Little App. Our client is one of the largest and oldest FMCG companies in India and globally. The client had an existing channel rewards program and were using credit notes to incentivize their channel partners. This outdated program led to multiple issues operationally and internally in the smooth running of the program. Qwikcilver stepped in to revamp the program and offer exciting rewards to its channel partners with an end to end channel program. We also added greater value to the client by cleaning their database. To enable easy redemption for the partners from across India, Qwikcilver also provided for call center-based redemption model that is remarkably simpler than a website-based redemption. Our in-house design team designed beautiful collaterals in the form of program manuals and brochures. We kept the channel partners in loop with regular communication through SMS on target achievement, points balance ensured competitiveness to earn more points. In the month of May, Woohoo collaborated with leading brands to bring out some exciting offers as a part of the “Awesome April” campaign. The offers ranged from 5% to 20% discounts on brands like MakeMyTrip, SPAR, The Serai, BookMyShow, TTK Prestige and VLCC. After a successful “Magnificent May” we have “Jolly June” happening right now! Cleartrip, Spar, Thomas Cook, and The Serai are brands looking to attract consumers with their exciting offers! 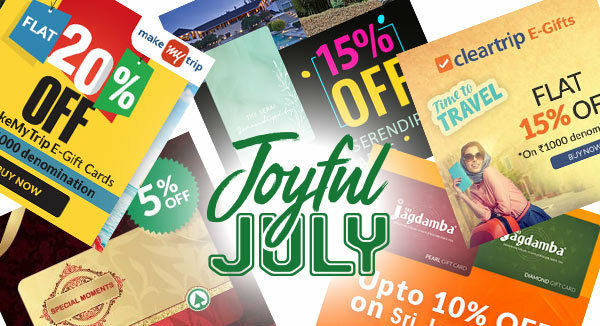 Check out all the “Jolly June” offers here. We had the best of the experts in the Gift Card category from India and beyond at the 2nd Edition of the Qwikcilver Gift Card Conclave. If you have missed the conclave, worry not as you can now check them out at your leisure on our YouTube channel. Subscribe now to hear latest in the Gift Card space from the best. Click here!